Extraordinary leaders do things differently and cultivate characteristics that average people only do occasionally. Note the fearlessness, determination, perseverance and devotion of Winston Churchill. Consider Nelson Mandela’s persistence, determination and commitment to what he believed. Or think about Theologian D.L. Moody who was not only known for his understanding of life purpose and commitment, but was a visionary leader who launched a multi-faceted ministry including world evangelism. Finally, we have all heard of the many characteristics that are attributed to the late Steve Jobs. But one of the most unique is his relentless pursuit to do the extraordinary and go the extra mile. So how do we leave a legacy and influence our world like these men? 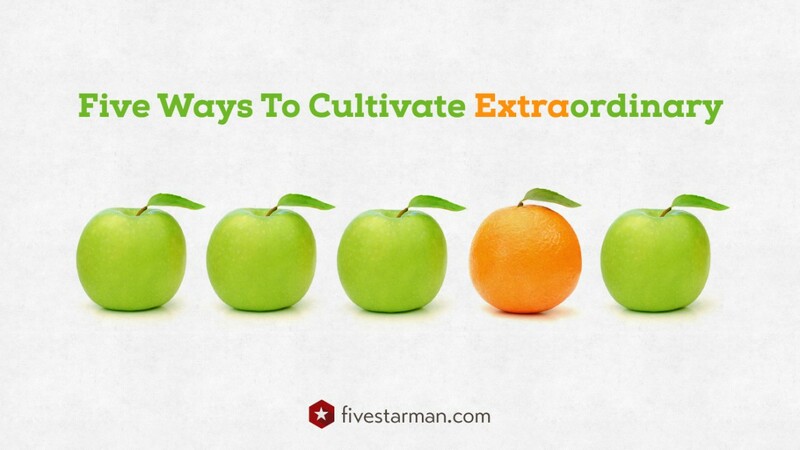 At the risk of oversimplifying the answer, I suggest five ways to cultivate extraordinary in our lives. 1. Be aware someone is always watching. We are all role models in some way and those in our sphere of influence are also imitating our actions. In my career, I have been shocked at who was paying attention to what I had accomplished or how I handled a specific situation. Some of these assessments opened doors of opportunity. They also closed doors for me when I didn’t handle things as I should have. 2. Dedication to consistency leads to consistent success. As far back as I can remember. I have heard people say, “Don’t work hard, work smart.” That is a mere platitude or cliché. The fact is that anyone who has had substantive achievement has taken a long journey that includes lots of hard work, sacrifice, persistence and dedication. And yes, that includes working smart, too. Working hard may mean burning the midnight oil at times and sacrificing doing more enjoyable things, but the end result is moving your business, organization or career forward. 4. Continual growth is an essential mindset. Some of the most interesting and talented people I know are continuous learners. They are curious about things and keep their knowledge in areas that they are passionate about up-to-date. Continuous learners have mentors they learn from. Some have reverse mentors. Reverse mentors are members of a younger generation and can help close knowledge gaps. One other benefit is that it fosters the development of emerging leaders. An emerging trend that continuous learners should take advantage of is a (MOOC) Massive Open Online Course, an online course that has open access via the web. Harvard, Yale, Princeton and Stanford for example, offer free courses taught by the school’s professors in many areas. If you visit https://www.coursera.org you can sign up for almost any type of course you can imagine at the aforementioned universities and others. For no cost or minimal fees you can take a course in social media, marketing, computer programming, finance, etc. that degree-seeking, paying students are currently taking. 5. Be value-add in every interaction. 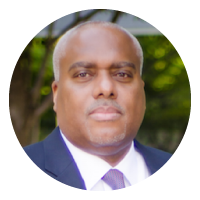 a Certified Master Business Coach, and entrepreneur, living in Dallas, Texas. This is AWSOME! The Lord has blessed us with a commercial cleaning service that has been growing for 7 years. I have been praying for wisdom and guidance to go to the next level. The raw gifts/talents that are imbedded in us in eternity-before we were formed-carries us to that point in our lives where we as exceptional individuals recognize that we are destined to do greater things in the Kingdom of God. To be empowered by Jesus to empower others is what I believe I am destined to do. I’m hungry for more. Craig, I believe that God has placed within you a deposit – the entrepreneurial drive – as you continue to cultivate your understanding of His gifts within you, they will explode with new and innovative avenues for you. Thanks for being a voice of authentic manhood. Great article. Concise and packed full of helpful insight.